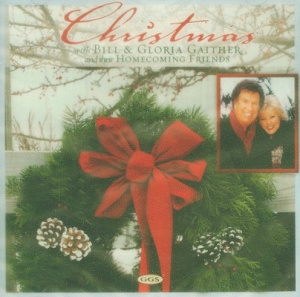 Featuring Bill and Gloria Gaither and the Homecoming family, this compilation of classic Christmas favourites brings together familiar voices with the songs we all love to keep at the heart of our holiday memories. Christmas at its most joyful is filled with rememberences of the One we celebrate. Whether through music, cherished traditions or time spent with loved ones, the Giver of Joy to be at the heart of out celebrations. Christmas with Bill and Gloria Gaither celebrates with all of their friends this Christmas to bring you an outstanding compilation of music from some of the worlds greatest Christian artists such as; The Homecoming Friends, Anthony Burger, Lynda Randle, Sheri Easter, Kevin Williams, Mark Lowry, David Phelps, Squire Parsons, Jake Hess, Sam Levine, The Martins, Buddy Greene and the Gaither Vocal Band. There are 11 amazingly inspirational songs on this wonderful album, creating fantastic music with a combination of artists. Each song will lift you this Christmas, bringing you together and communicating with the Lord. Christmas with Bill and Gloria has never been so warm and cosy, so when its cold outside and Christmas is upon us. light up your heart with this beautiful CD. Christmas With Bill & Gloria Gaither by Bill & Gloria Gaither was published by Authentic in September 2009 and is our 13665th best seller. The ISBN for Christmas With Bill & Gloria Gaither is 0617884274122. Be the first to review Christmas With Bill & Gloria Gaither! Got a question? No problem! Just click here to ask us about Christmas With Bill & Gloria Gaither. Now Playing: Angels we have heard on high/Hark the herald angels sing Your browser does not support the audio element.